When looking for work in the healthcare industry, there are many ways to get started. 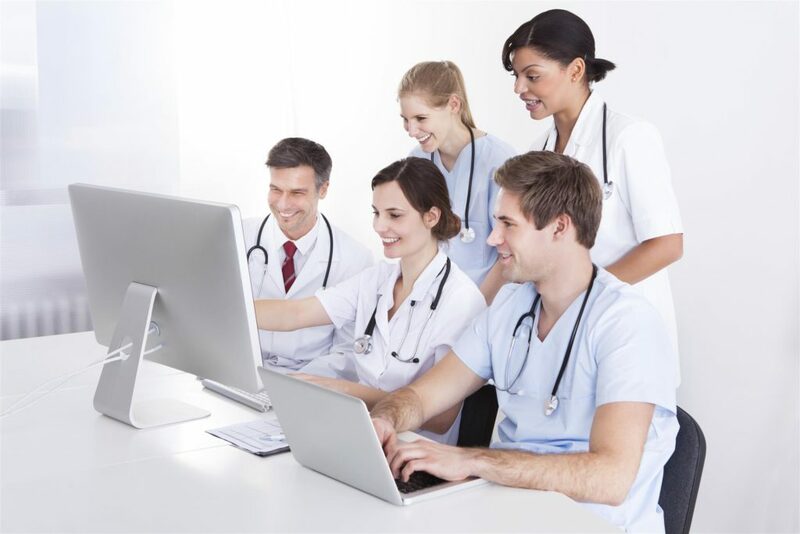 Those that are great with numbers, memorization, and transcription would be excellently served by becoming a medical coder to help hospitals and other healthcare facilities ensure that their patients get the care they need with as little human error as possible. Basically, modern hospitals use a system of highly complex codes in order to treat patients efficiently and effectively. Due to the wide breadth of knowledge needed to become a medical coder (some compare it to learning a new language), those that want to enter the field must become certified and learn the vocabulary that they’ll need to be successful. Why Does Medical Coding Exist? In the field of medicine, various forms of information are encoded for privacy, ease of message transmission, and to ensure a regulated healthcare atmosphere. For instance, instead of putting the burden on the doctor to individually write out every diagnosis to be interpreted by pharmacists, surgeons, or other professionals, the doctor can select a code that best corresponds to the case and can make any notes necessary to that specific patient. These codes are universally accepted and industry-standard, meaning that medical coding has become a booming profession over the years as technology enters a key role in the healthcare sector. Although medical coding is different from medical billing (coders generally just transcribe, while medical billers deal with insurance companies), many medical training programs in NYC offer classes that will help you become certified in both. What Types of Medical Codes Are Out There? International Classification of Diseases (ICD) – Established by the World Health Organization (WHO) in the late 1940s, and currently in its tenth revision, ICD codes are used to say basic things about the patient’s condition and the doctor’s diagnosis. For instance, an ICD code for strep throat may have different incarnations depending on its severity and the doctor’s recommendation. Currently, there are over 68,000 ICD codes alone. Current Procedure Technology (CPT) – These codes are most often used to document any medical procedures performed while inside of the physician’s office. This can be used for reimbursement from insurance companies or other forms of billing and technology transferal. Set by the American Medical Association (AMA), these codes are split into a few different categories and ranges to cover things like the use of anesthesia, radiology, surgery, technology, and the facilities and healthcare professionals that administered care. Healthcare Common Procedure Coding System (HCPCS) – Most hospital services not covered by ICD or CPT codes can be transcribed using HCPCS. This includes certain medicines, equipment, and techniques that are not nationally recognized yet, or things that do not technically fall into either category, like ambulance rides, Medicaid, and Medicare. Due to the expansive amount of knowledge needed to successfully enter this field, medical coders must pass a certification exam in order to be hired. Luckily, a number of medical coding training classes in NYC also offer job placement programs that make it easy for just about anyone to enter the healthcare industry as a coder.